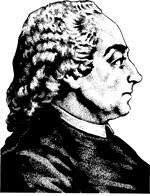 Galiani believed that government generally should not interfere in the natural workings of the economy. A government that attempts to stimulate all sectors of the economy, agricultural and industrial, stimulates nothing. Stimulation means that a particular sector is given preference over the other sectors, and how can one sector be given preference over another if all sectors are stimulated? Furthermore, Galiani’s 1769 Dialogues sur le commerce des blés , written in French with vivacious wit and a light and pleasing style (you can read it here), delighted Voltaire, who in his Dictionnaire philosophique (“BLÉ ou BLED”) spoke of it as a book in the production of which Plato and Moliere might have been combined (“[Galiani] trouva le secret de faire, même en français, des dialogues aussi amusants que nos meilleurs romans, et aussi instructives que nos meilleurs livres sérieux”). What is surprising is that Galiani is still relatively little known.